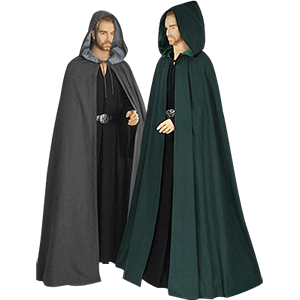 For a vast selection of mens medieval clothing, handmade by talented expert tailors for an authentic and highly detailed appearance, choose Your Dressmaker. 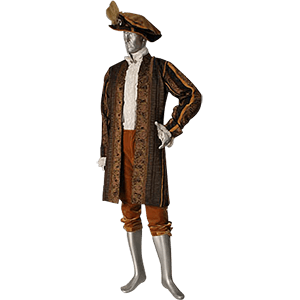 Here you will find a range of historic reenactment garments perfect for achieving your ideal period look, and many of our items can be custom made for your best fit. 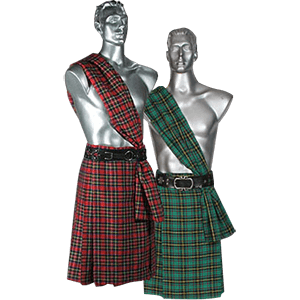 Get all your historic outfit essentials here, such as crusader capes, noblemens cloaks, medieval shirts, Renaissance breeches, and medieval peasant pants, as well as medieval tunics, jackets, doublets, Celtic ritual robes, baroque vests, and even authentically styled Highlander kilts. 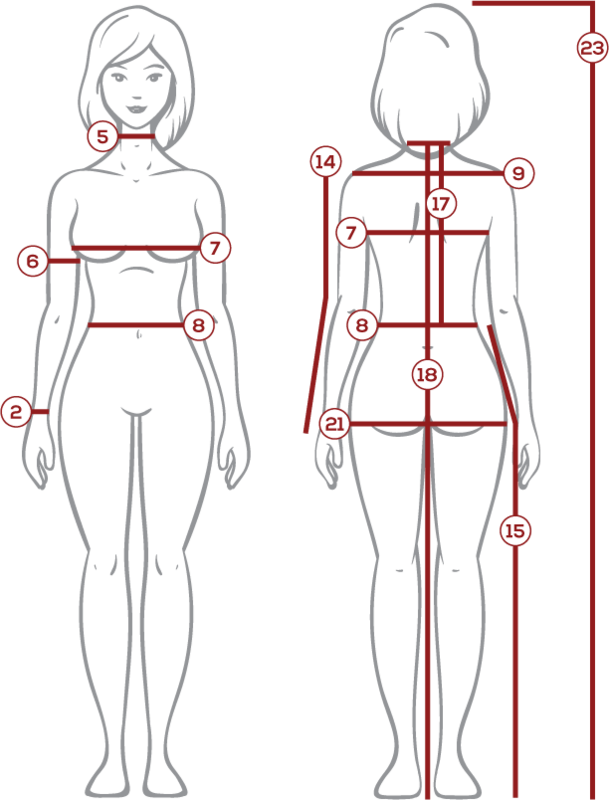 But our wares here at Your Dressmaker are far more than just the basics. 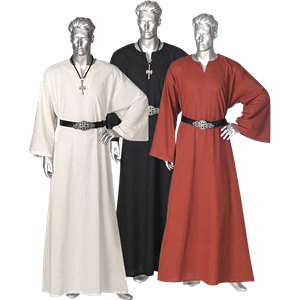 Our medieval clothing items range from outfit staples to stand out pieces sure to set you apart at your next event or add personality to any look. Many of our items are brimming with unique and stylish details in their designs and trim while still adhering to the aesthetics of ages past. 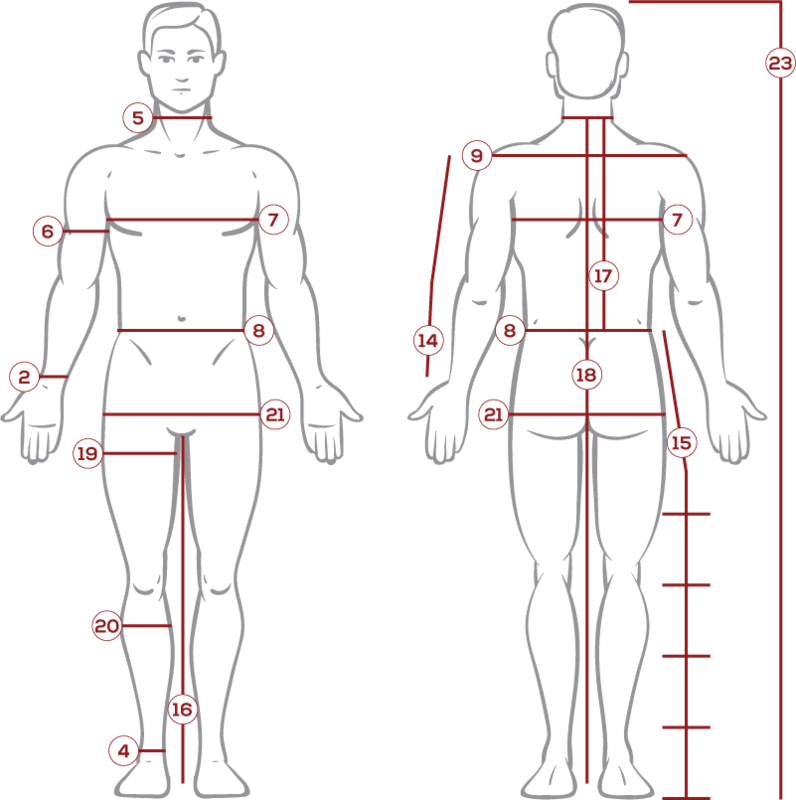 So whether you are getting dressed for a LARP event, historic reenactment, costume party, or theatrical production, Your Dressmaker has the medieval garb for your needs. From crusading knights to kings, nobles, peasants, pirates, and even Vikings, any character can find an expertly crafted and stunningly detailed ensemble here. 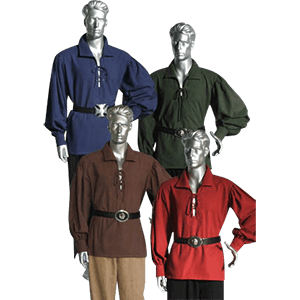 Our medieval clothing items are made out of a wide variety of beautiful, high quality fabrics, ensuring you will be best dressed at your next historic reenactment event. The inherent simplicity of a vest has made this clothing piece a staple in wardrobes throughout history, but Your Dressmaker transforms the vest into a statement piece worthy of any nobleman. Each handmade vest features an incredible level of detail and an expert construction. 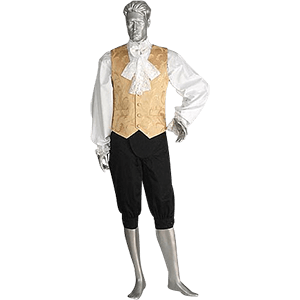 While we carry a range of vests suited for a variety of historic-inspired outfits, our most ornate vests are even great to wear for modern special occasions. 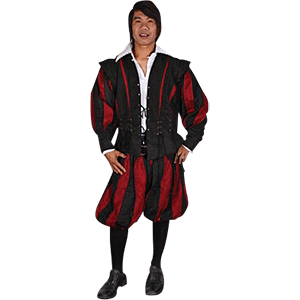 Made out of high quality materials like brocade, satin, cotton twill, and silk, these Renaissance vests are sure to make any outfit stand out and can easily be worn over most of our mens medieval shirts. Whether you are looking for a stylish touch to a Renaissance faire ensemble or you seek to bring Renaissance style into the modern day, our historic vests are as magnificent and high quality as they get. 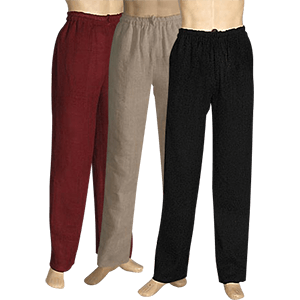 They are available in a wide variety of colors and styles. Some short vests end at and accentuate the waist while others fall past the hips. Our medieval vests can also be tailored to best suit your size. 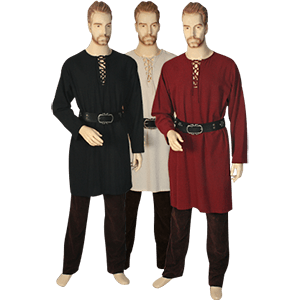 Wear them for your special occasions, medieval LARP events, Renaissance reenactments, or even theatrical productions for an unforgettably splendid look.